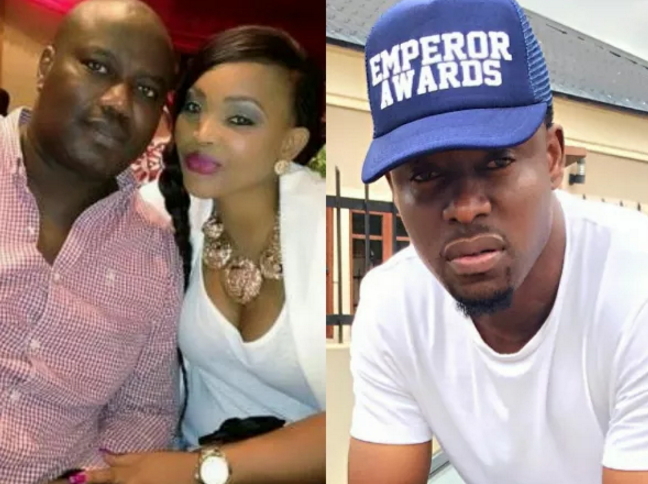 Nollywood actress Mercy Aigbe estranged hubby, Lanre Gentry has finally responded to the damaging death threat allegation by one Lege Miami who said in a video released few days ago that he was threatened with death for allegedly sleeping with Mercy Aigbe. “The State Criminal Investigation Department picked the young man up and arrested him yesterday. I made a complaint against him for defaming my name and men of the Nigeria police went to pick him up because I do not know him. I have never even seen him before yesterday. They later released him yesterday after a lot of people trooped in to beg on his behalf. However, before he was released, he was asked to write an undertaking that he would never try such a thing again. I don’t know him from Adam. My wife is a very gentle person and she remains my wife. She is not a troublesome person neither is she promiscuous. I have never accused my wife of cheating on me and we have never had a fight over her faithfulness to our marriage. The only little misunderstanding we had was over the issue that I gave her money to cook for me but she did not do so. That was what caused our misunderstanding. The guy in question is just looking for cheap popularity and it led to his arrest. He has already written an undertaking to refrain from tarnishing my image. Initially, they wanted to lock him up and charge him to court for defamation of character but people really pleaded on his behalf so I had to be lenient and asked them to let him go after he wrote the undertaking. I seems not to u understand this confused man. I seem not to u understand this confused man. Werey man…. He doesn’t no what is doing again…… Mercy honeypot don dey confused am.